One of the most intirging aspects of homeschooling is the ability to learn outside of a traditional classroom. This flexibility allows homeschool students more opportunities to participate in hands-on learning experiences. At Roanoke Island Festival Park, we offer a living history lesson for homeschool groups to learn about the first English settlement in the new world. Groups of 10 or more can reserve a guided tour and take in a new adventure at each of our historic site attractions. Our educational department offers curriculm based tours to tie in with your child's current studies. Follow our homeschool field trip guide for tips and tricks to make the most of your field trip. Reach out to your local homeschool group and coordinate a trip to the Outer Banks together. This is a great opportuntity to connect with other homeschool students and parents and share the cost of traveling expenses. You can also make the most of your trip by researching other Outer Banks attractions and historic sites to visit after your adventure at the park. To reserve your tour, visit our booking form or contact our education manager, Anna, directly to set up your tour. Guided tours are available to suit your homeschoolers age group and curriculm. Make sure to book at least 2 weeks in advance and provide consolidated payment to receive a group rate. 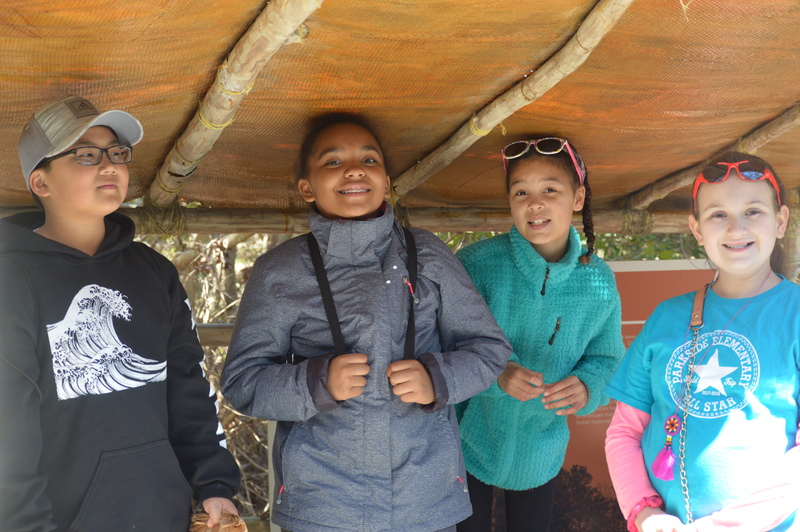 *Travel tip - Most school groups plan their field trips during the spring to reinforce the history lessons they learned during the school year. You can also schedule a tour in the fall to get your students excited about their upcoming history lessons. Browse through our pre-visit material in our field guide a few days before your trip. This will give your child a chance to brush up on important historicial figures that were instrumental in the Roanoke Voyages and first English settlement. When packing for your trip, comfortable walking shoes are a must! With several of the venues being outdoors, bug spray, sunscreen, a camera and poncho are also good items to pack in your field trip bag. You can also plan to have an outdoor lunch at our shaded picnic area. - Encourage your child to ask questions. Our historic interpreters would love to answer any questions your child may have about their voyage and life in the new world. - Encourage your child to participate. Our exhibits and demonstations are all interactive. We encourage students to learn by doing. Don't be afraid to particpate or pick up various props and items at our various attractions. - Soak it all in. Take time to read the exhibit panels and follow along. The work stations in American Indian Town offer lessons on how to weave basket, build a longhouse, build a canoe and more. Read, learn, and test out these skills for yourself. The Adventure Museum, Settlement Site and Elizabeth II also offer interactive exhibits and demonstrations to try, including woodworking, sailing techniques and more. After your field trip, check out our field trip guide for additional worksheets and activities. These activities give your child a chance to discuss and reinforce what they learned. This is a great time to clarify any questions they may have and research any topics that they would like to learn more about. For more field trip tips and resources for homeschoolers, visit The Homeschool Mom.